Yes, it was a tough election year for voters. But if you voted, you should be proud of your contribution to the long, successful history of American elections. 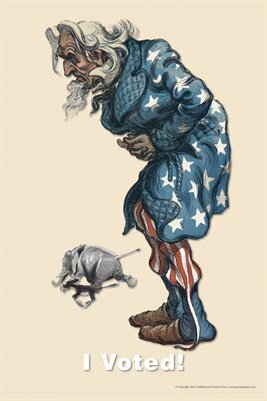 Display your pride -- and other emotions -- with this unique new mini-poster, featuring Uncle Sam with his own appropriate reaction.